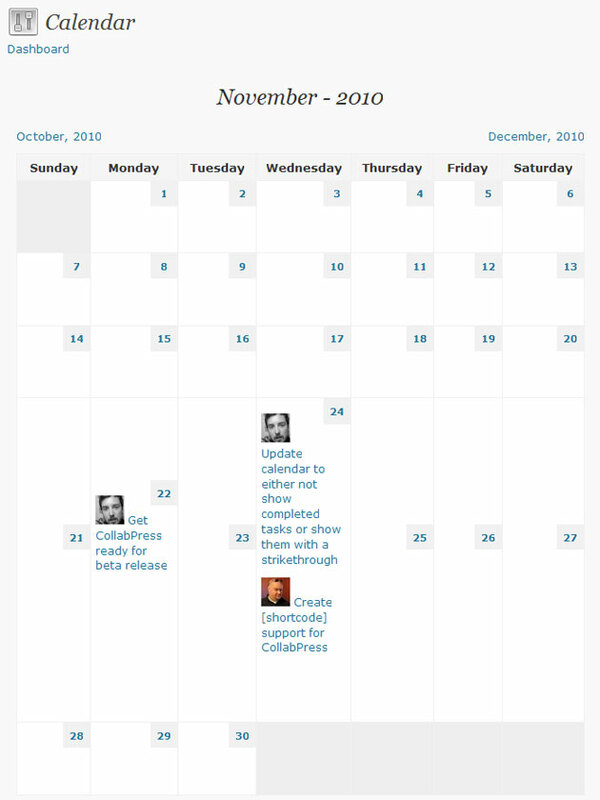 This Free Project Management Plugin for WordPress is best suited for WordPress blogs or websites that are maintained by more than one person, wherein you can easily add projects, tasks and add due dates to them and can easily communicate through comments. This plugin makes it easy in accomplishing your projects by easily collaborating them within your WordPress site. 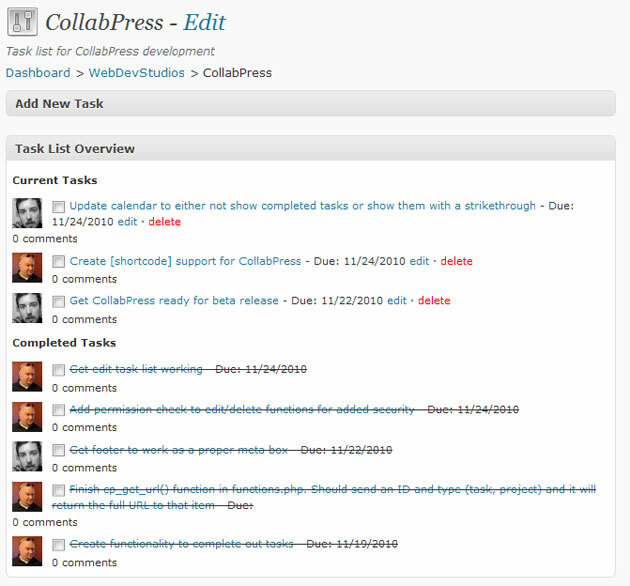 CollabPress is a plugin which adds project and task management functionality to WordPress. Easily create projects and assign tasks to users. CollabPress is 100% GPL and the source code is freely available. This is the same license WordPress is released under, so the plugin is completely compatible with the WordPress software license. 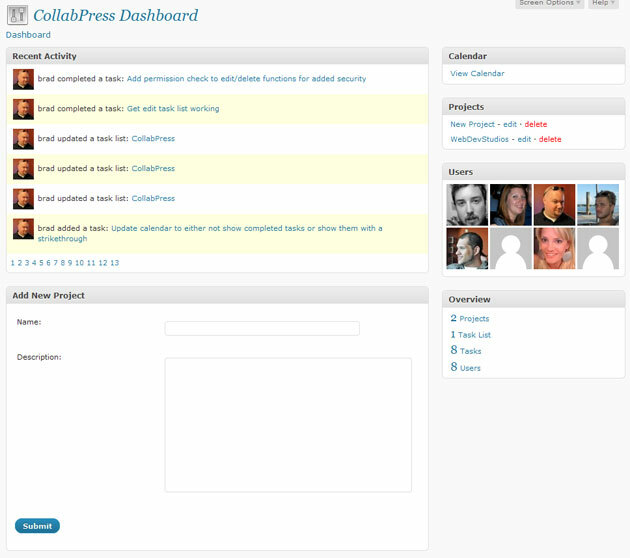 CollabPress uses built-in WordPress user accounts. This means every user in WordPress can be assigned projects, task lists, and tasks with email notifications to the email address saved on their profile. CollabPress features email notifications at every level. 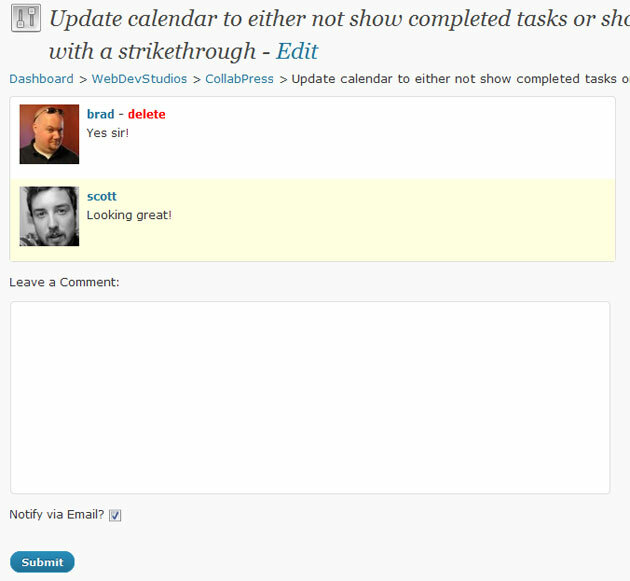 Every project, task list, and task can email all users in your WordPress setup if selected. Email can be enabled and disabled site wide with a single click. Could be easy to implement the functionality of select wich users form part of a project and his role on the project? i am installing this plugin right now. i cant wait to use the plugin.